A credit card is a financial instrument issued by a bank which enables you to borrow short term money at the point of sale. To put it in simple terms, it is a plastic payment card issued to you by a bank which enables you to buy anything on credit. You can also consider payments made by credit card as loans which are interest free for limited period (usually 30 days), and afterwards if u fail to pay off your debt, you are charged interest of 16-20%. 21st Century is the generation of plastic money; credit card services are one of the most profitable services for banks now days. Unlike older generations, youngsters flaunt the number of plastic cards in their wallet instead of currency notes. I am sure most of you also may have joined the same bandwagon by now and for those like yours truly, who are still pondering whether to get a credit card or not, today I will attempt to debunk shocking common myths regarding credit cards. 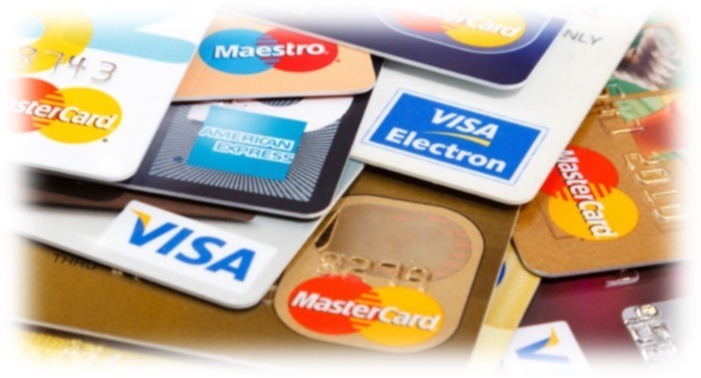 The biggest myth surrounding credit cards is that getting one lowers your credit score. No it doesn’t. Credit score is based on your ability repay the borrowed money and your past history of payments is also considered. If you haven’t taken any loan or have owned a credit card how are they going to determine your credit history??? Thus you need to understand just getting a credit card doesn’t in any manner lower your credit score. But non payments of your due on time may certainly hamper your score. Related to the first myth, is the general belief that returning your credit card will drastically improve your credit score. Again, people are falling for this myth because they fail to understand the concept of credit score. If you have paid your due credit bills on time you will be better placed in creating a good credit history. This way you are better placed to increase your score with a credit card instead of not having it or returning the one you already own. Bottom-line: Again I would like to emphasize that not defaulting on card payments is better than running away from credit card based on some hearsay. Now we move to the aspect with which banks used to lure us into buying credit cards. Every day we come across advertisements and banners telling us that a credit card of XYZ bank can get you discounts in your favorite mall or shopping site. Such ads are too tempting and make us think how much we could have saved in case we had some of those plastic cards with us. Tempting idea?? Certainly it is. But in reality many of the card holders agree that the devil lies in the detail. There is always that dreaded asterisk symbol about terms and conditions. A lot these offers are dependent on you buying some other stuff or are applicable only during non-peak days. Also these rewards are for people who pay up their dues in full and on time by the end of 0% period. Bottom-Line: Don’t get a credit card just based on rewards and offers. Check other terms as well and compare it with those given by other banks then take a final call. Sign-up bonuses are not always a trap but a little bit of caution from your end won’t hurt you in long run. The best strategy as far as payment of due goes is paying as soon as you can before the 0% grace period gets over. But there is a certain section of people who believe in paying just the minimum due every month in order to maintain their card. This way they become eligible for high interest rates. Mind you the interest rates charged by banks is calculated on daily basis and is very high. Thus unless you are really in financial crunch you should strive to pay off all your dues and not just the minimum due. Just yesterday I received a call from bank tele-marketer telling me that I am eligible for exclusive Signature card. His marketing pitch was that besides multiple rewards I would be having unlimited spending limit. This sounded too good to be true so I asked him to send me the complete brochure of the signature card. A thorough look at the document revealed that Signature card didn’t come without a spending limit, though it did had a quite a high limit. Don’t be fooled by the advertisements, each card whether Black, Blue, VIP, Platinum or Signature comes with a credit limit. Don’t go on shopping spree even if your card has a high limit because at the end it will be you who will have to pay for it. Banks love credit card holders. Some pay high sum as interests while others get them money from merchants by shopping with them exclusively. Thus search and compare all the credit cards you are eligible to have and read the fine print well. In case you have any queries regarding it, ask your financial adviser or write to us.